After losing her mother, and in a bid to run away from abusive foster parents, Sophie took to the streets for survival. This, however, landed her in jail after an attempted gas station robbery with her boyfriend. The only way the judge would let her out was if she agreed to stay with her grandmother, Lila, for at least a year and even go back to school. All this would have been okay except for one problem; Sophie had never met her grandmother; she did not even know that she had one. She had no choice but to go with Lila, so she started her life on a farm with Lila, determined not to form any bond with her new guardian and take off as soon as possible. However, slowly, as she got to know her, Sophie could not help but fall in love with Lila, with the farm and with her new life. However, just as she was getting comfortable in her new life, disaster struck in the form of her old boyfriend. 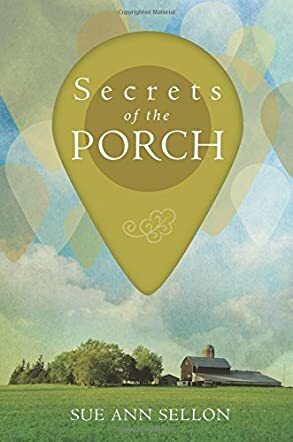 Secrets of the Porch by Sue Ann Sellon is a beautiful story that presents love in all its purest forms; the unconditional love of a grandmother towards her long lost grandchild, the pure and mature love between a man and woman, and the sweetness of new love between two teenagers. Sophie's story was so touching and it was very inspiring to see all she had survived after the loss of her mother and yet she was not completely broken. One could, in fact, not blame her for the attitude she had towards Lila at the beginning of their relationship. It was, however, absolutely beautiful to see their relationship turn into one of love so pure and so fierce. Lila's patience with Sophie and her understanding towards her was simply incredible. Sue Ann Sellon's amazing writing talent brought this beautiful story to life.